BreatheEasyCPAP.com was created with you, the client, in mind. BreatheEasyCPAP.com is the natural outgrowth of our brick and mortar home care company. Since customer service has been our greatest pride we fought against selling this equipment online. But, with rising deductibles, increasing co-payments and insurance restrictions, we came up with a way to provide this service in a cost-effective manner without sacrificing client care. Our therapists have over 30 years of experience and have worked with thousands of patients with sleep disorders. The staff at BreatheEasyCPAP.com understands that finding the right equipment is an important decision. Our therapists are available to help you make your choice with confidence! Caryn McArdle RN, BSN Nurse Clinician, has been committed to helping clients sleep through the night for over 20 years. She began her medical studies at Loyola University in Chicago, where she received a Bachelor’s in Nursing. After several years working in sleep and pulmonary clinics, she decided that she wanted to provide a more specialized service to her patients. In 2004, Caryn founded Advanced Sleep Therapy along with her two business partners, and her dedication to her patients has been instrumental in setting AST apart from others in the field. When not in the office or seeing patients, Caryn enjoys traveling with her family, reading, and creating mosaic art. She spends her free time with her husband, her two daughters, and her two dogs, Abbey Road and Bang Bang Maxwell. Wishing you better sleep and better health! My name is Mikhail Shusterman CRTT, RCP Certified Respiratory Therapist, and Respiratory Care Practitioner. I’m one of the owners of AST & Breathe Easy CPAP. Since 2004 Caryn, John and I made a decision to get together. Using our knowledge and experience we opened a unique company Advanced Sleep Therapy, LTD. It was my best decision. I was born in Kiev, Ukraine. In 1977 I graduated from Kiev University as a technologist. In 1982 my dream came true, I was able to join medical community of Chicago as a Respiratory Therapist. That year I graduated from MGH School of Respiratory Therapy and passed the National Board of Respiratory Therapy Exam. 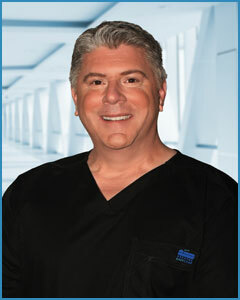 I worked at Northwestern Memorial Hospital, Children’s Memorial and Elmhurst Memorial hospital. In 1990 I joined Abby Foster Durable Medical Equipment Company where I was able to gain a lot of experience in the respiratory homecare field. Since 2004 all of my above practical experience has helped me with my current venture. Excellent patient care, clinical knowledge, teaching ability all help us to bring the best service to our patients. I feel very proud to be a part of AST. John Kissane, Home Medical Equipment Specialist. 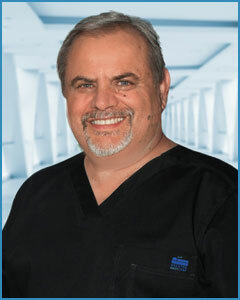 As one of three AST & Breathe Easy CPAP founders, I have worked in Sleep Therapy industries for over 20 years. I have worked for home care companies specifically targeting Sleep Apnea, leading the way at AST to provide exceptional patient care. I worked directly with the technical staff to design a website specifically catered to the customers' needs. I was Born and raised with four brothers in Chicago, I grew up playing tennis and rooting for the Chicago Cubs. With my wife Missy, we have raised three wonderful children, two girls and boy. My faithful companion is our dog named Buster. Karen Grollo-Morris Director of Client Services. Karen joined the Breathe Easy CPAP team in March 2008. Graduating with a degree in Communication from Arizona State University, she has over 30 years of Sales and Marketing experience. Karen's experience includes working for Kraft Foodservice as a Territory Manager in Southern California and a Sales Manager for J.Goodman and Associates in Southern California. Karen primarily focuses on marketing AST's services to physicians and sleep labs. Her passion for maintaining client relationships has been instrumental in bringing our business to a new level of service, gaining AST greater recognition in the Sleep Therapy industry. She is married to Irwin, a Pharmacist and Founder of a local Biotech Company. They have 3 children and 3 grandchildren. 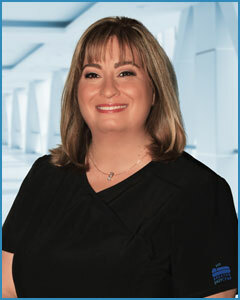 Jody has been working as a medical biller for over 10 years. Jody found the AST Team as a Consultant during 2014 as we transitioned from an outside billing company to in house billing. In the summer of 2015 Jody accepted the position as Office Manager of AST. 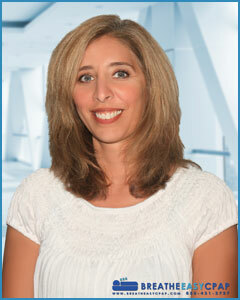 Jody has been an intrical part of integrating new practice management software to improve our service to you. Jody lives in the northwest suburbs with her husband and 2 children.